Do you feel like you walk out of each barbershop or salon with a different haircut in each visit? Is it a common scenario that you find that the idea of the haircut in your head does not necessarily match the outcome of haircuts that you receive? Even worse, have you found yourself panicking every time you have an urgent meeting or a big interview and have to walk into the barbershop feeling that you are gambling on whether you’ll come out looking like a tornado blew over your head? If you have found yourself in any of these predicaments, it is time to quit your worrying .Our new barbershop got you covered. Most people are looking for a consistent barber who simply understands what your usual is; a barber who understands the complexities and contours of your head and has a genius memory on just how you like your hair. With most jobs demanding that you maintain a well presented, consistent image, finding a barber like this is almost a desperate need for most of us. Relax. Our new black barbershop located in Hither Green Lane, Lewisham, South East London is fully equipped with the best, well trained and experienced professional barbers that will make you want to fix the barber visit on your daily to do’ list. We opened shop in January 2015 and have continued to witness a huge percentage of return customers who wouldn’t trade the experience for anything else. We’ve also received many new customers who have been referred by the prior or simply walked in and fell in love with the place. This is because our barbers are very good at what they do and love it. 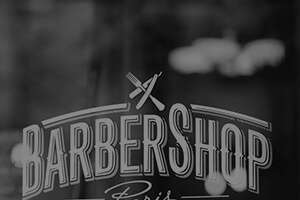 In our shop, you will find our barbers ready to fully and constantly engage you on what your preferences are while they use their expertise to suggest haircuts that would look best on you depending on the structure of your head and the needs of your hair. The barbershop also offers a cool and relaxing environment where you can lay back, exhale and catch on the News on the paper, as you get your hair fixed. Our barbers are very friendly souls who will engage you as you wait, if you have to, such that you won’t notice the time ticking. Moreover, they have accumulated diverse skills on different types of haircuts and are specialists on what cut looks good where. We also have enough personnel that will ensure that a long queue that eats into your time will be a thing of the past; especially if you just popped in for a quick neat fix. Over time, we have come to realize a gap in Afrocarribean market with Lewisham having very few Afrocarribean barbershops and salons. Afro-Caribbean hair is a little more demanding as it has a different structure from straight hair that makes it most vulnerable to damage among all other hair structures. This makes it very necessary to have a barber or stylist that understands its styling and grooming needs as well as the special care needed for it; particularly involving the use of specially formulated hair products so it can look and feel its best. Having special understanding of this fact, our barbers and stylists have dedicated themselves to ensuring that your Afrocarribean hair needs are met in the most effective manner. They have continually amassed knowledge, skills and expertise on what haircuts best fit this particular structure of hair and how to best administer them to our clients for satisfactory results. Therefore, you can be rest assured that your hair is in safe and professional hands. We offer haircuts and beard trimming of all sorts. From fade cuts to fros, Buzz to clean cut shaves, if your preference is curly or straight hair, long or short, whatever your style is, we deliver best results on all variety of cuts and trims; inclusive of beard trims. You are welcome to walk into our Barbershop and/or you can book your appointment with us online for the beginning of your new rewarding hair relationship with us.